Because makeup has nothing to do with eyeshadow, or highlighter, or lipstick, or primer. You can eschew all of it and still be just as radical as someone who bakes it on. It’s paint. It’s fun. But it’s also an expression—a manifesto in texture and color and big red lips and rosy cheeks. 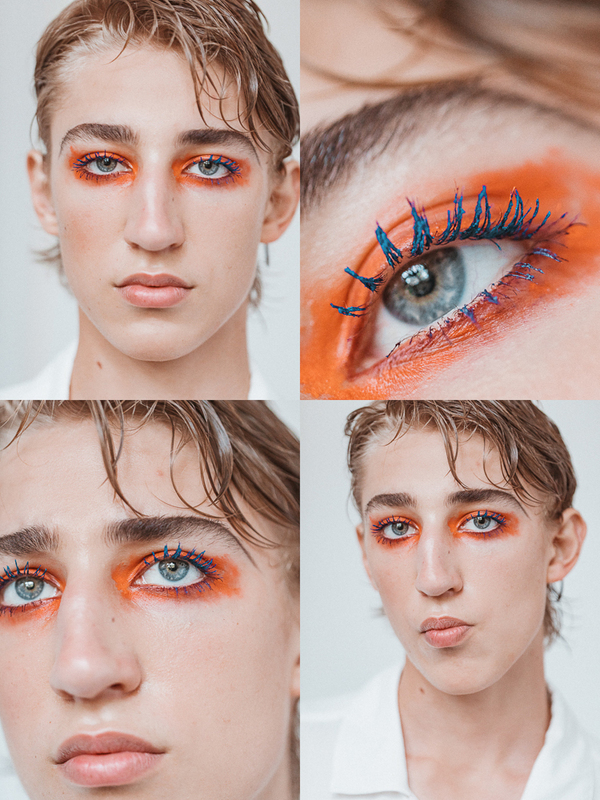 Here at the tail end of Pride month, there’s never been a better time to celebrate makeup for exactly what it is: It’s you. And there’s nothing more political, more radical, than you. Or girl brows. 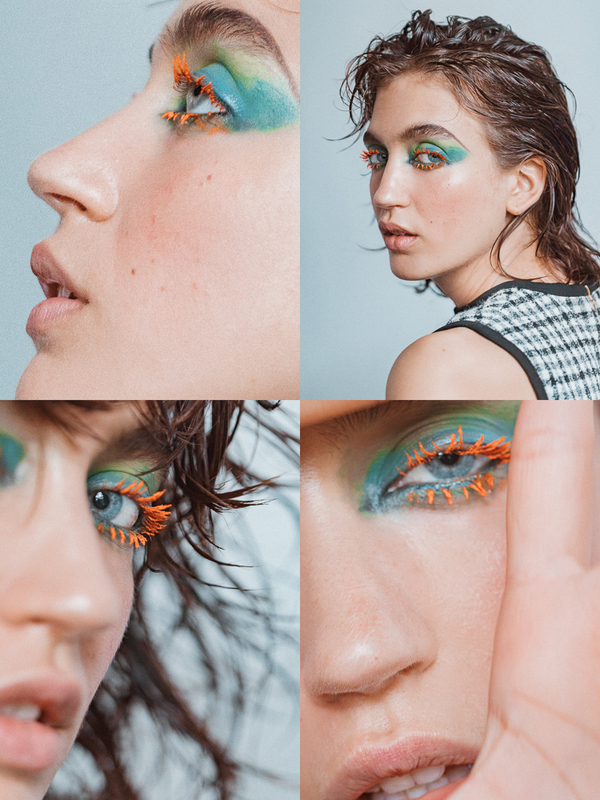 According to makeup artist Lucy Burt, eyebrows are the great equalizer: architecturally speaking, there’s little difference between men's and women's. Lucy likes to preserve the shape of the brow, enhancing it with an outline on top (contrary to what you might pick up in a penciling tutorial). Lucy uses MAC Fling, a kit staple, for the exaggeration—plus the Brow Set in Show Off to set. On the cheeks, Jillian Dempsey's Ruby Lid Tint, blended 'til berry. A little flush looks good on everyone. Maximillian and Sofia wear Gucci. Rays of neon cast against moody color fields. The mascaras here are YSL's Volume Effet Faux Cils along with some unfortunately discontinued orange Chanel mascara. "It's an interesting way to experience color," said Lucy. The cream shadows, which also came from YSL, were applied imperfectly with fingers and then traced and smudged with Vaseline. "I love it to feel melted and organic." Maximillian and Sofia wear Louis Vuitton. "We wanted each of them to feel like they belong together, but have an individual twist going on," Lucy said. 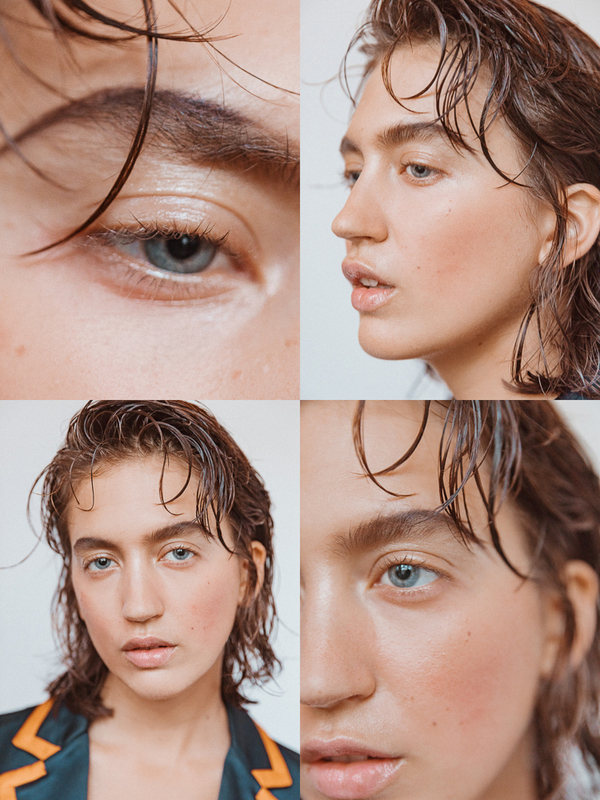 The eyes were courtesy of some forthcoming Dior that we promise you're going to love, but in lieu of that, let's talk about that unreal skin. Lucy polished Max and Sofia in face oil so that all of the eye looks would literally melt in to the skin. 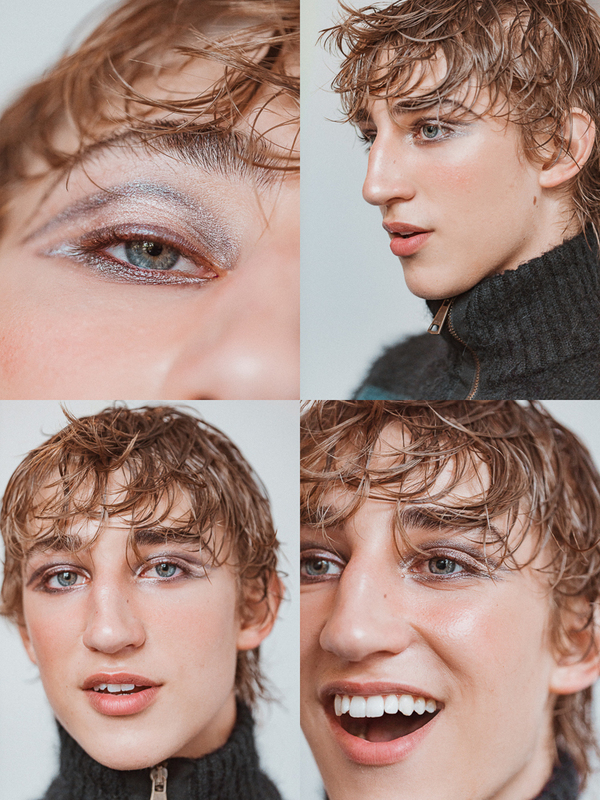 "I love the makeup to feel like it’s part of the skin." Maximillian wears a No. 21 sweater and Burberry pants and shoes. Sofia wears Miu Miu. For the last look, Lucy picks up the Make Up For Ever Flash Palette and draws some diet Club Kid masks around the metallic eyes. “It felt like they did it themselves, went to the club, and got sweaty and hot on the dancefloor.” Good weekend plans: Play with your makeup. Go for it, and see how far it takes you. Maximillian wears Versace. Sofia wears a No. 21 coat and skirt and Etro boots. For more inspirational makeup, read here for a sunkissed glow, and here for an easy eyeshadow how-to.